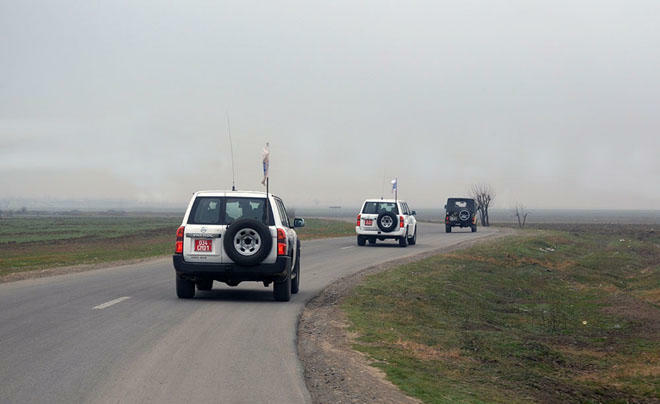 The OSCE monitoring held on the border between Azerbaijan and Armenia on June 8 passed without incidents, the Azerbaijani Defense Ministry said June 8. The monitoring was under the mandate of the OSCE chairperson-in-office personal representative in Azerbaijan’s Terter district. On the Azerbaijani side, the monitoring was held by Ognyen Yovic and Simon Tiller, field assistants of the OSCE chairperson-in-office personal representative. On the Azerbaijani territories, occupied and controlled by Armenian armed forces, the monitoring was held by Ambassador Andrzej Kasprzyk, the Personal Representative of the Chairperson-in-Office on the conflict, and his field assistant Mikhail Olaru.